Title: POSSIBILITY OF MIDDLE EAST WAR JUST LURCHED FORWARD! Subtitle: Barely had the last Jewish citizen departed Gaza Strip than an extremely high-ranking Egyptian general marched into Gaza to take control! Egyptian soldiers also arrived at Rafah border crossing to take control, earlier than their agreement with Israel provided. Hostile Egypt is now within a few miles of Jerusalem! A top-ranking Egyptian general and his entourage now control the Gaza Strip -- within a very short distance of Jerusalem! After all the times Egypt has led the effort to destroy Israel since May, 1948, why would the Sharon government allow an Egyptian high command post in the Gaza Strip? In the past year, during seemingly countless negotiations with the Egyptian government concerning its future role as to who would control the Gaza border, the Sharon government refused to even think of allowing a mere 750 Egyptian soldiers on the border. 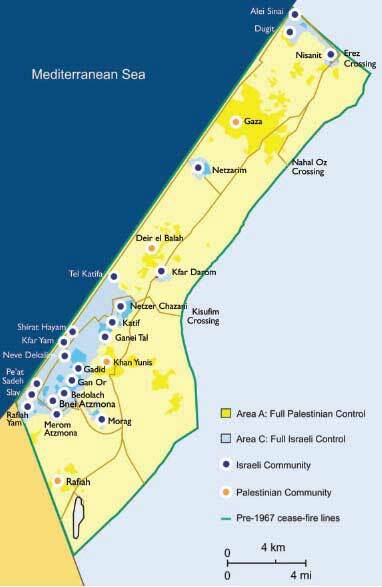 Yet, today, we learn that the Egyptian high command has taken over control of the entire Gaza Strip! Keep this last idea in mind. Egypt is said to be cooperating with Israel to prevent Al Qaeda terror groups from infiltrating the Gaza Strip. What nonsense this idea is, at least on the surface. Palestinian terror groups have consistently ravaged Israel, long before Al Qaeda was ever invented by Western Intelligence. The late Yasser Arafat was the master terrorist chief, using his resources shrewdly to viciously attack Israeli soldiers and civilians, only to turn to the cameras to insist to Western media that he opposed such atrocities. As Israel prepares to fully evacuate the Gaza Strip and West Bank, Hamas and Arafat's various terrorist factions are more than ready and able to step in to launch terrorist and para-military attacks inside of what remains of Israel. Yet, here we read that Al Qaeda is such a threat that a high-ranking Egyptian military contingent has arrived to take charge of Gaza, to prevent this mythical Al Qaeda from gaining a foothold! Keep this subject in mind, for we shall soon be posting an article which just might open your eyes. "A second Egyptian general, Muhammed Ibrahim, is in close communication with the Hamas to guard against wildcat action including gunfire on Israeli targets ... The other members of the Egyptian team have divided Gaza into sectors and assumed command of the Palestinian battalions. They have installed their own communications and logistics networks in the Egyptian embassy building in Gaza. Did you catch that last revelation? " Israeli officers in dialogue with Palestinian opposite numbers check first with the Egyptian officers for their approval of agreements." Does this mean that the Egyptian government now possesses a veto power over Israeli agreements with the Palestinians? My, how far Prime Minister Sharon has fallen down on his commitments to the conservative members of Likud. He promised over and over again that he would never allow Egypt entrance into such an internal relationship with the Palestinians, particularly in the Gaza Strip. Remember that Egyptian annual military exercises always have the same premise: all-out war against Israel -- an invasion of the Jewish state. Egypt has been a most implacable foe of Israel, even in the last couple of decades when she has publicly pursued a nominal peace. Their pro-Western facade is painfully thin, just a smear of veneer over great depth of anti-Semitism. Events shall shortly prove this to be the case. But, this is not the only shock concerning Egypt. Egyptian soldiers arrived at the Rafah border crossing earlier than the original agreement with Israel stipulated. Today, the Rafah border is completely under the control of the Egyptian military. No one seriously believes that Egypt will really prevent the Palestinians from smuggling all sorts of arms through the huge tunnels dug under the border; rather, seasoned observers believe that Egypt will enhance the flow of arms through these tunnels and will even begin to introduce heavier, more destructive arms, the kind of which might bring Israel's shrunken nation into subjection. Before we leave this news story, let us reiterate one matter made perfectly clear. Prime Minister Sharon continually stated that he would not withdraw "under fire". In other words, the Palestinians could keep Israel from unilaterally withdrawing by simply keeping their terrorist rockets flying and their mortars raining down. Sharon simply could not persuade the Palestinian Authority to keep Hamas and the various Jihad groups quiet until he could leave. Sharon must have secretly turned to the Egyptians to keep Palestinian terrorism under control -- at least until the withdrawal is complete. So, what happens the "day after" the withdrawal is completed and the last Jewish citizen and IDF unit is withdrawn? Egypt is certainly still Israel's implacable enemy. What is Egypt's likely plan of action in the very near future, after Israel is gone? The Palestinians will certainly want to resume their terrorist actions, and the Egyptians are likely to allow them to do so -- provided their terrorism fits within the over-all Arab master plan for Israel's annihilation. Let us now turn to a Pentagon document which informed Congress of the most likely scenario of the "next Arab-Israeli War". Israel has certainly gone out of her way to reinforce Arab perception that a narrow "historic window of opportunity" has opened up against her. Prime Minister Sharon has ceded control of almost one-half of internal Israel to the Palestinians! This means that the potential for disruptive attacks from within might prevent Israel from responding to ongoing attacks on her borders! As this article, above, has stated, the Arabs are united as never before in creating "numerous strategies and tactical alliances heretofore non-existent in the region." This Pentagon report to the Congress then shows the role the Palestinians are expected to play within this Arab assault plan. This idea of an Arab oil embargo rings too true to be ignored, does it not? Today, the Bush Administration is threatening both Iran and Venezuela, two oil producing giants. The more President Bush threatens Iran, the higher the prices of crude oil skyrocket. With both Iran and Venezuela so dead set against us, it does not seem too much of a giant leap of faith to contemplate an oil embargo from a significant portion of OPEC members. 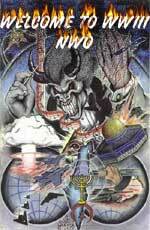 Cutting Edge has been warning since 1996 that an oil embargo is part of the plan to ignite the World War III so necessary to produce Antichrist. Our writings over the years have been consistently warned that the Arabs would once again use oil as their weapon by which they hope to destroy Israel. 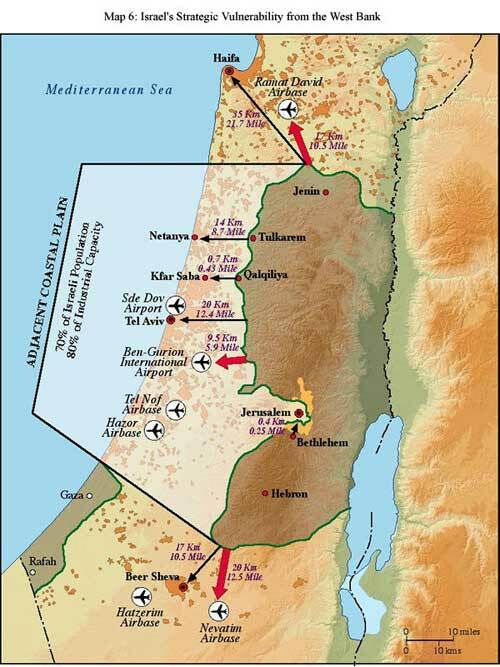 Since Conventional Military Wisdom has always held that the most important asset to protect against military defeat is land mass, Israel seems to be committing national suicide as she gives up all this land. Similarly, Arab strategists are probably smacking their lips in anticipation of being able to wage war against an Israel which is suddenly so emaciated. Another map of this region shows that 70-80% of all Israel's industrial capacity lies in this narrow strip along the Mediterranean Sea. Conventional Military Wisdom is quite clear: Israel is committing national suicide against a determined, well-armed, well-trained and numerically overwhelming force intent upon her destruction. Can you see this imagined "historic window of opportunity" opening wide? Israel is baiting the trap, and the Palestinians, Syrians, Egyptians, and Jordanians are about to fall into it. Israel has exotic weapons of which the Arabs probably have no idea. Sharon wields scalar weaponry (NEWS1776 and NEWS1776b), and Fuel Air Bombs (NEWS1422) and extremely sophisticated conventional computer guided weaponry. She literally has the weapons to turn back the barbarians, though they be at the gates! I reiterate what I have said before. The New World Order Planners envision that Israel will survive this planned war, that the Arabs will be the ones annihilated. Their plans for Antichrist call for him to come walking through the dust and smoke and destruction of this Third World War, amidst signs and wonders, to deceive the peoples of the world. In particular, the New World Order Plan calls for Antichrist to work especially hard to deceive the Orthodox Jews into believing that he is their Messiah. 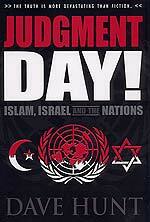 Obviously, if Israel were to be destroyed, Antichrist would have to dramatically alter his plan. As we noted in NEWS1643, the entire Middle East policy is being driven by a Masonic plan created by Great Britain, the United States, and Israel. 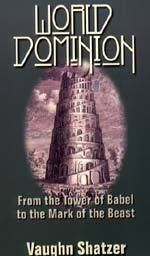 The Illuminati will not allow Israel to go down to defeat, or their 1,000-year plan to rebuild Solomon's Temple will go down in flames. Therefore, the Arabs are being led into a gigantic trap here, just when they think they are the ones laying the trap! You can be sure that God's Plan for Israel and the End of the Age will not be frustrated nor brought to no account. 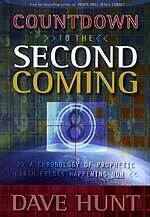 Every one of God's prophecies will be fulfilled exactly. If you are Born Again, you have no fear. Israel as a nation need not fear destruction, even though she may take heavy casualties. If you know the Lord Jesus Christ and your Savior, or if you are a Jew worried about Israel's survival, you can take comfort in God's assurances of protection in Psalm 91 and in the many other passages which we quote in NEWS1010, "Modern Day Miracle: Israel Reborn". Read this material carefully, again and again, and you will find comfort for your soul. As Israel withdraws from her settlements, the annihilating prophecies of Obadiah 15-18, Joel 3 and Isaiah 34 are about to occur - in your Daily News!